In this expert handbook both the topics and contributors are selected so as to provide an authoritative view of possible applications for this new technology. The result is an up-to-date survey of current challenges and opportunities in the design and operation of bioreactors for high-value products in the biomedical and chemical industries. 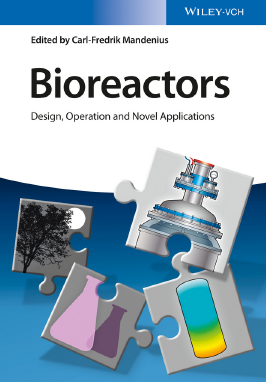 Combining theory and practice, the authors explain such leading-edge technologies as single-use bioreactors, bioreactor simulators, and soft sensor monitoring, and discuss novel applications, such as stem cell production, process development, and multi-product reactors, using case studies from academia as well as from industry. A final section addresses the latest trends, including culture media design and systems biotechnology, which are expected to have an increasing impact on bioreactor design. With its focus on cutting-edge technologies and discussions of future developments, this handbook will remain an invaluable reference for many years to come. GMT+8, 2019-4-19 15:04 , Processed in 0.146376 second(s), 29 queries .